Planning your relocation to London is about being organized and efficient and one of the best ways to make sure that your international relocation goes smoothly is to use a relocation services company to handle your move. The great thing about using London relocation agents is that they are there on the ground doing what needs to be done before you arrive. Essentially all you have to do is turn up! Moving to London is about more than just finding the perfect pad and learning how to ‘mind the gap’ on the tube. Learning as much as you can about the culture of the country and the city of London is going to stand you in good stead when you’re meeting people and making friends. Buckingham Palace looks a lot smaller in real life than it does in the movies. This famous landmark should be one of the first places you visit if you have not been to London before. Just don’t be disappointed if you’re only allowed to see the outside, the Queen is rarely at home to visitors. Not everyone in England has met the Queen. 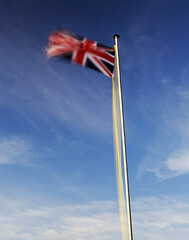 The United Kingdom is a collection of countries, comprising England, Scotland, Wales and Northern Ireland. Don’t get it wrong. They even speak their own language in Wales, Ireland and Scotland. Beer is not just beer. It could be bitter, ale, lager or even stout, and it will be served at room temperature in pubs in the UK. London is a city made up of a different people from around the globe. Real Londoner’s are probably from somewhere else. The Underground is a system of public transport that you WILL learn to use if you intend on going anywhere in London. Never talk about the weather with a Brit. They consider it the right of people who were born in the country to moan about the weather. Brits don’t really like being called ‘Brits’. It’s is important to remember that you are moving to a foreign country in your international relocation, and there will be a number of differences between the way you did things back home. What you may have to get used to after your relocation. Humor, a sense of wonder and an appetite to discover the city will have you settled in no time at all.